Have a careful look at your garden now and you`ll see that where there were subtle changes two weeks ago, there is now structural change. Paeonies, day lillies and even agapanthus are bouncing out of the ground. 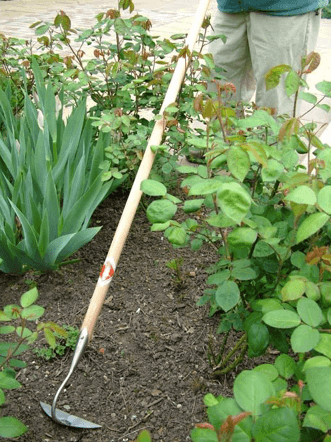 Assessing a section of a planting bed. Some of the under planting may be leaning towards the light and be misshaped as a consequence. Other plants my just not be up to your expectations allowing you to introduce new species that you may have fallen in love with since the original scheme. All of this provided new opportunities and potential for an area that you`ve secretly been itching to have another go at. 2. Remedial Action and Pruning. 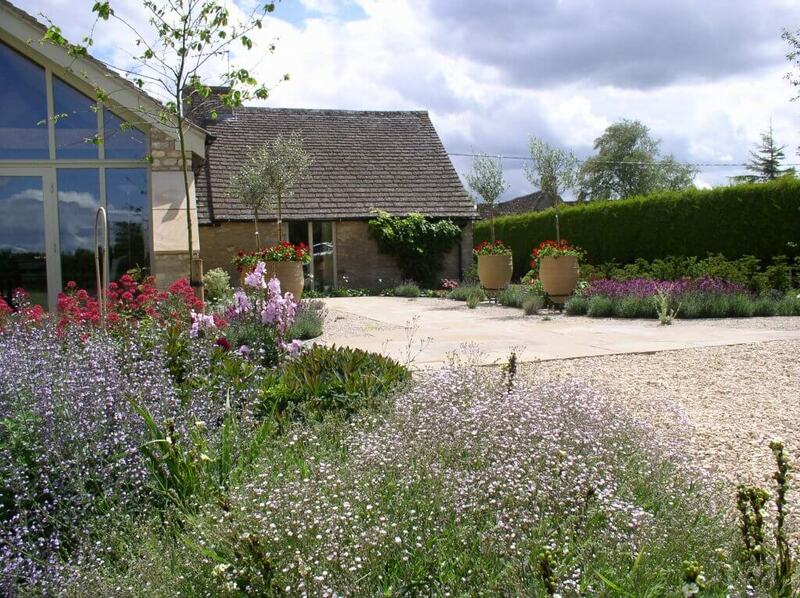 A tailored planting scheme for a contemporary garden design in Cirencester. I should have said that before you start on the border you should remove any weed growth as by the time you’ve padded around these might be lost only to reappear later. My secret weapon is a Sneeboer Long Handled Half Moon Hoe. This can be purchased from Harrod Horicultural in three differing sizes. 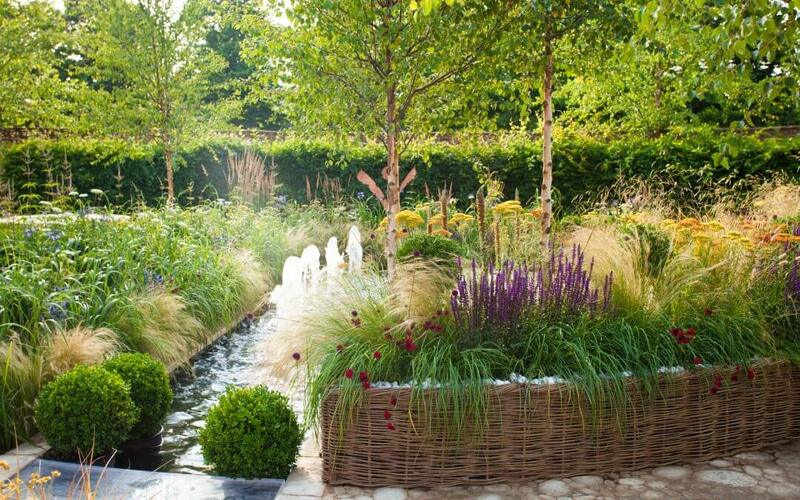 In summary, all the above will revive a border that would have otherwise continue to get out of control and will set you in good stead to ensure your garden is well prepared for the summer months. Not long now! Nick Dickinson of Elementa Design has been creating beautiful gardens for four decades now. 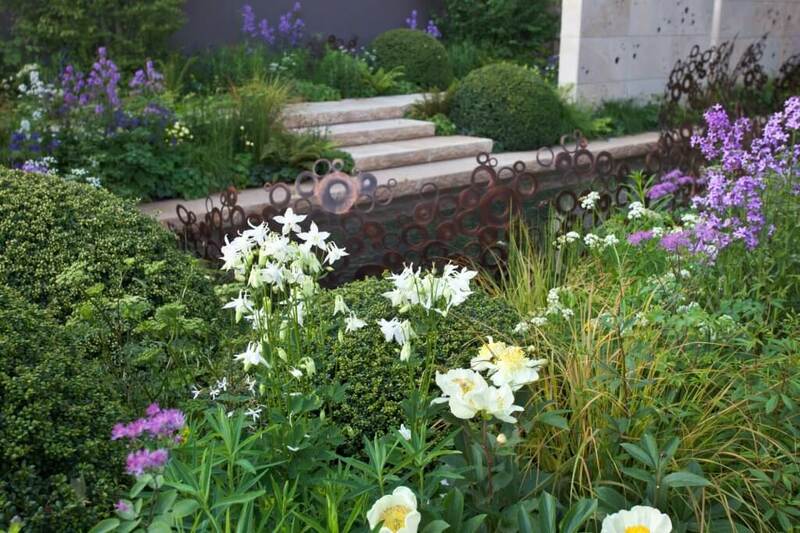 Nick is a much sought after plantsman and garden designer in Cheltenham who is able to take a planting brief, however sketchy and transform your garden into something that will really stimulate the senses.